Education is a privileged means to serve the humanity through Human resource development, the development of the whole person. With this end in view the Mind Master Academy has been built up. The academy is a new venture undertaken by the management of we care nursery. The Academy aims at integral development through assimilation of different cultures and values and by training of the student’s intellectual, emotional and physical powers. The academic excellence, character building and discipline, cultivation of dignity of labor, Social justice and duty consciousness are the high held values in our education system. We try to develop national and scientific outlook on life and thirst for knowledge and prepare our students to serve the nation, society and humanity with dedication, sacrifice and distinction. We at Mind Master Academy aim at a person’s overall improvement through classes regarding syllabus and classes for developing personality. Most often people asses a person by his personality and how he does the job given to him. So along with professional qualities a person needs proper actions to be taken to improve his personal skills too. Keeping these things in mind the academy gives special care for the kids who need yoga and meditation. The mind valley in mind master academy will be a different experience for all those who make use of it. 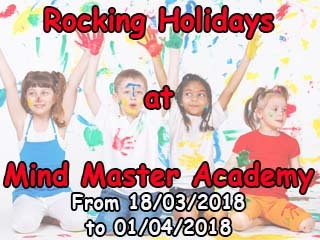 The programs conducted by Mind Master are Kinder Garten, tuitions for all classes, after school care, special training for those who have learning disabilities, computer training programs and training for communication skills Improvement in different languages Like English, Arabic, Malayalam, Hindi and Tamil. Teachers who experience close relationship with students reported that their students were less likely to avoid schools, appeared more self-directed, more cooperative and more engaged in learning. A positive relationship doesn’t mean being so liberal, but loyal. A teacher could become the first person in a child’s mind whenever he/she needs someone’s help. The teachers in our Kinder Garten are specialized to take care of the child’s mental and academic growth. The After School Care involves fun and learning. When a person learns something through fun and enjoyment, it remains forever. This is the basis of our programs for after school care kids. The tuition in Mind Master offers a number of training programs for the Kids and Youngsters who wish to improve their stand in a particular subject. 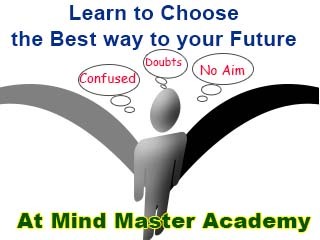 Well trained and qualified teachers take care of the tuition programs conducted by Mind Master Academy. Specially trained staff is available at Mind Master to take care of the kids with Learning disabilities that make them feel at home. The staff aim at their overall improvement. The academy offers a wide range of computer training programs which include Programming Language Learning, Hardware and Software learning, Database Administration training and training for computer networking. Wherever a person goes the first problem he/she faces is the communication problem. What keeps us happier than seeing a person from a different country talking in our own mother tongue? Aiming this mind master academy offers special training for improving communication skills in languages like English, Arabic, Hindi, Malayalam and Tamil. The Mind Valley in Mind Master Academy makes a person understand and learn that the mind is a person’s instrument, learn to be its master. To control the mind of a person meditation and yoga programs have been set up. Well trained experts are set for these programs. Copyright © Mind Master Academy 2018. All right reserved.